As you probably know by now, I have a thing for hats. I LOVE them--all types of them. Not only are they practical, but they also help disguise bad hair days. And since I live in Miami (where the humidity is non-stop) that's almost every day. 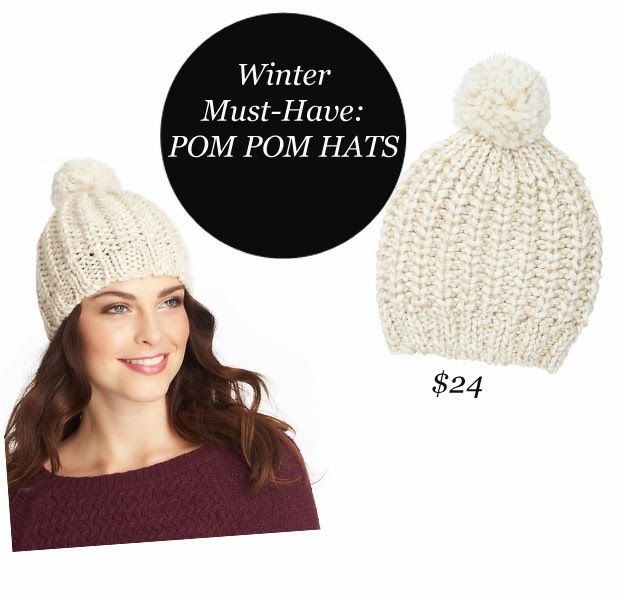 My go-to's for the summer are fedoras and now that's it's winter, I'm obsessed with pom pom hats. It adds a little more than your classic beanie. You can pair it with a cozy sweater, jeans and you're good to go. Here's one that I love from LOFT for only $24 bucks.